Frank Vaught as the Atlantic Weatherman for WDBO-TV early in his broadcasting career. 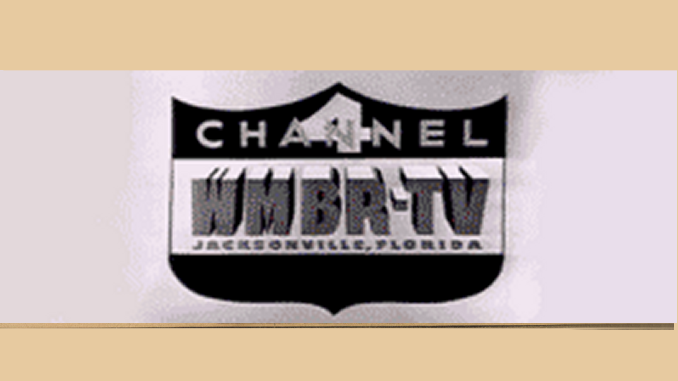 Frank Vaught, an Orlando TV news pioneer who began broadcasting here in 1958, has passed way. Vaught, 81, died Nov. 29 of complications related to esophageal cancer. Vaught is likely remembered mostly for his sports reporting — which he did at WDBO-Channel 6 and later on radio stations WKIS-740 AM and WHOO-990 AM. When we put together our Central Florida Golden 50 list in 2004 — commemorating the 50th anniversary of the start of television in Orlando — Vaught made our list. But the picture provided was of him as the “Atlantic Weatherman” for WDBO. “The Atlantic Weatherman? I didn’t know what it was either at first. But it was Frank Vaught, who did the weather and sports in the early days of Channel 6. 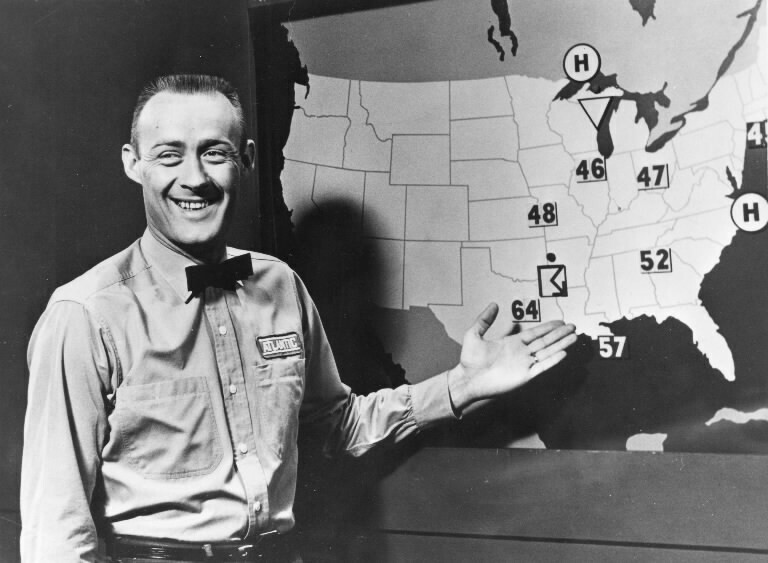 Apparently Atlantic Oil Company (today known as ARCO) sponsored the early Channel 6 weathercasts — which were reported by Vaught, in an Atlantic Oil uniform (like they were wearing down at the filling station). I’m not sure how long Vaught’s weathercasting duties lasted, but I do know he made the biggest impact as Channel 6?s longtime sports anchor. Even when he got out of the TV biz, he was still doing sport reports on radio into the 1980s. A public memorial service for Frank Vaught will be Friday at 11 a.m. at All Faiths, 4901 S. Orange Ave., Orlando, FL 32806. Mr. Vaught will be receiving full military honors on the 13th of December, 2011 at 12:30 p.m. at the Florida National Cemetery in Bushnell. Flying saucers! How did stations miss this?